What Fresh Page Is This? Dorothy soon found another job at the magazine Ainslee's where she could be as sarcastic, bitchy, and witty as she pleased. In 1922 she wrote her first short story - "Such a Pretty Little Picture" - this was the beginning of her literary career. In January of 1924 Dorothy divorced and moved into the Algonquin Hotel. She began writing plays; "Close Harmony" was her first. 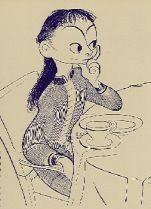 The first issue of The New Yorker was published in early 1925 and Dorothy contributed drama reviews and poetry for the first few issues. 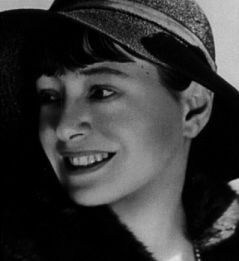 In February of 1926 she set off for Paris, but continued contributing articles to the New Yorker and Life. While in France she befriended Ernest Hemingway; surprisingly, considering his male chauvinist attitudes. Dorothy returned to New York in November. Her first book of poetry, "Enough Rope", was published and received favorable reviews as well ad being a commercial success. 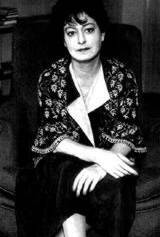 In 1927 she became very involved in the Sacco and Vanzetti trial. She traveled to Boston to join the protests against the execution of two innocent men. During the protest she was arrested but refused to travel in the paddy wagon, insisting on walking to jail. She was a committed socialist from this day until her death. In October Dorothy became the book reviewer for the The New Yorker Magazine, under the title "The Constant Reader". In February of 1929 Dorothy's short story "The Big Blonde" was published and she won the prestigious O. Henry award for the best short story of the year. That same year Dorothy began doing screen writing in Hollywood. She moved to Hollywoodbecause she needed the money and was offered a contract by MGM. Dorothy wrote many screenplays over the next decade. In 1933 she once again traveled to Europe where she met her second husband Alan Campbell. He was also of Scottish-Jewish descent, and a rumored bisexual. They became screen writing partners and signed a contract with Paramount Pictures in 1935. In 1936 she helped found the Anti Nazi League. In 1937 Dorothy won an academy award for her joint screenplay of "A Star is Born". Throughout the 1940's Dorothy continued writing prose and short stories along with screenplays. She was widely published in many magazines and Viking released an anthology of her short stories and prose. In 1949 she divorced Alan Campbell, but later they remarried. In the 1950's she was called before the House on un-American Activities and pleaded the first instead of the fifth, still refusing to name any names. In 1952-1953 testimony was given against her before the HUAC. From 1957-1963 she worked as a book reviewer for Esquire magazine. 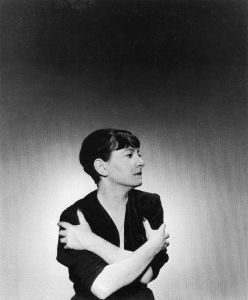 In 1959 she was inducted into American Academy of Arts and Letters. She was a distinguished Visiting Professor of English at California State College in L.A. In 1964 she published her final magazine piece in November's issue of Esquire. On June 7, 1967, she was found dead of a heart attack in her room at Hotel Volney in New York City. She bequeathed her entire literary estate to the NAACP, and after much legal wrangling and indecision her cremated remains were buried at the NAACP headquarters in Baltimore. 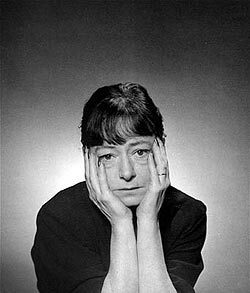 "They Are Moving To Bucks County"
Dorothy Parker was 50 years old when George Platt Lynes took this portrait in 1943. The Round Table had been disbanded for more than a dozen years, her husband was away in the Army, and Dottie was living in Hollywood. the spirit of the 1920s. being on the receiving end of them. Utica Drop Forge & Tool Co.
as you thought you did.